This evening we kicked off the Fletcher Summer Institute for the Advanced Study of Nonviolent Conflict with an Opening Dinner featuring the Nashville segment of the A Force More Powerful film and a keynote address by Reverend James Lawson. Rev. Lawson is also featured in another documentary, Freedom Riders, which tells the history of civil resistance in the civil rights movement. 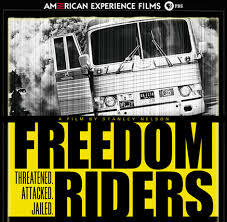 The Freedom Riders were a group of young civil rights activists who rode interstate busses from Washington, DC into the segregated south of the United States in order to challenge a continued practice of segregation on these interstate bus lines, despite the passing of laws that deemed the practice unconstitutional. 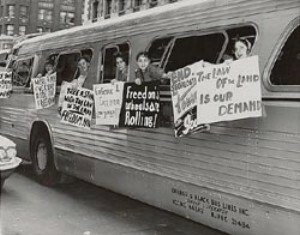 The freedom riders were at times beaten and arrested for the simple act of riding the busses through states that had not yet implemented the law. Freedom Riders is a captivating film that tells the inspiring story of this group of courageous civil rights activists and the power of careful planning and strategizing coupled with nonviolent action. This film can be live-streamed on the web in some countries. Previous Previous post: Put Your Ear to the Ground … FSI 2013 is Around the Corner!